Blaming the Congress for creating misunderstanding and spreading rumours about the land bill, BJP president Amit Shah on Sunday said the bill was actually farmer-friendly.Speaking to newly-elected representatives during a 'Sushashan Sankalp' programme here in Dussehra Maidan, Shah blamed the Congress for always doing politics in the name of the farmers. 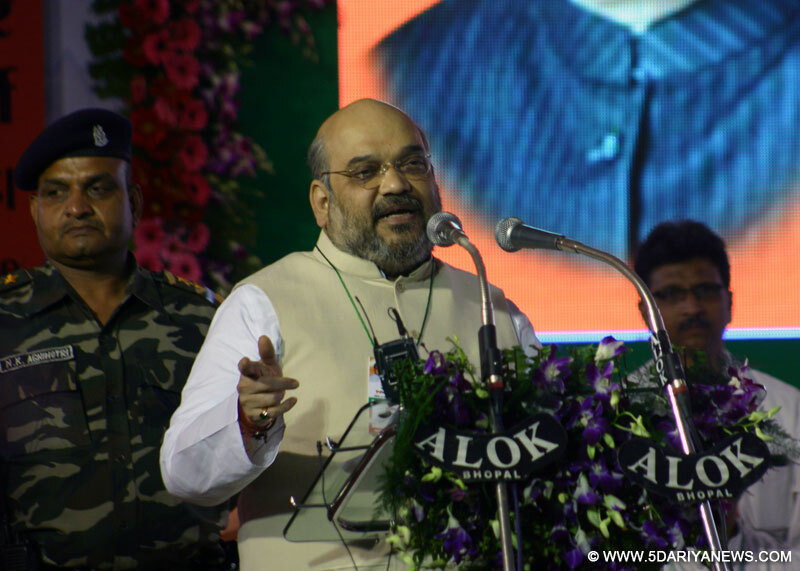 Asserting that the Narendra Modi government was taking decisions favouring farmers, Shah said the farmers' compensation for natural calamities had been raised. The BJP president further observed that the land bill was not going to benefit any industrialist but the farmers. He said the farmers' land would be taken for development works like construction of schools, roads, hospitals, power generation, and for the purpose of border security. Shah said in exchange of such a piece of land the people, in case of cities, would be paid double its price but in villages the compensation would be four times its market value.He said it would only benefit the farmers who would be able to buy land with the compensation amount at a different place and three-fourths amount would help the farmer in his personal life.